300 shields are still in the fields but once they're given the go these artifacts of warfare spring into action and land directly on the reels, amongst a cache of weaponry. 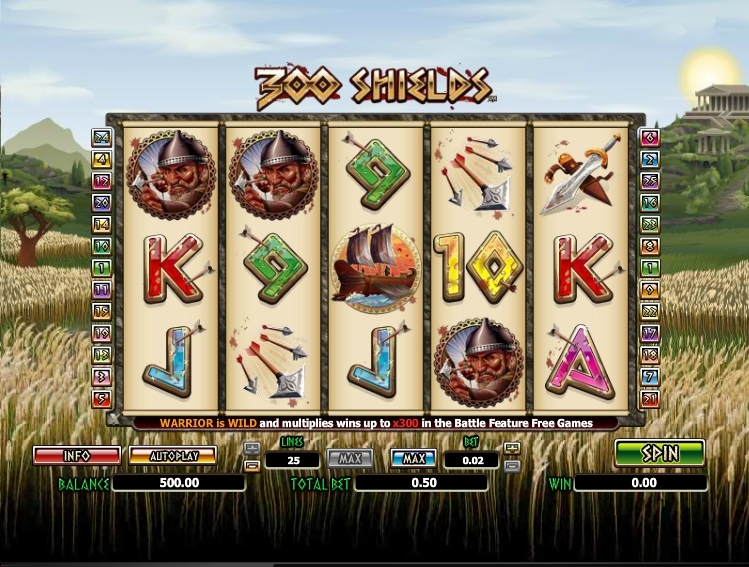 Thankfully, this pile of wood and steel pays cash prizes, because 300 Shields slot is an exciting game of 25 payline sand five reels, that has a top paying symbol of 1000x multiplied by the line bet. The players can join the battle as onlookers for just two pennies per spin or engage in some reel action with wagers that are bigger than that and up to 125 quid. Don your Spartan garb, helmet, shield and sword and step into the battle of the 300 Shields slot. The game involves lots of reel action, a free spins bonus feature and a 300x multiplier on your winnings as a top cash prize. Hellenic mythology has often proven a popular choice for slots producers, as there are dozens of releases dealing with the pantheon and the various creatures found in the legend and lore of that ancient world. A slew of Hollywood films based on the militaristic Greek state of Sparta have pulled us closer to the present day, and this is the bell which the 300 Shields slot seems to ring, without making any actual references to it. If you consider the slot’s theme, the symbols and the general look and feel, indeed, you are looking at an online slot that has to deal with lots of weaponry and lots of shields. But what are we playing for here? 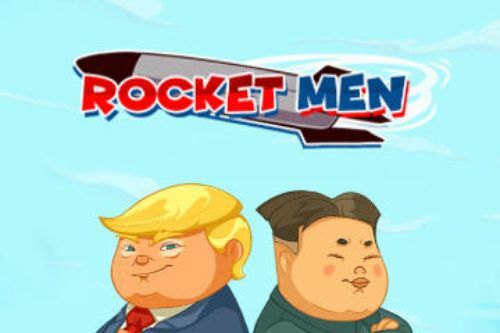 Besides the engaging gameplay and graphics design, you will find that there is an astounding 300x multiplier, which triggered on a higher than the usual wager, may come to retrieve a solid trove of cash. 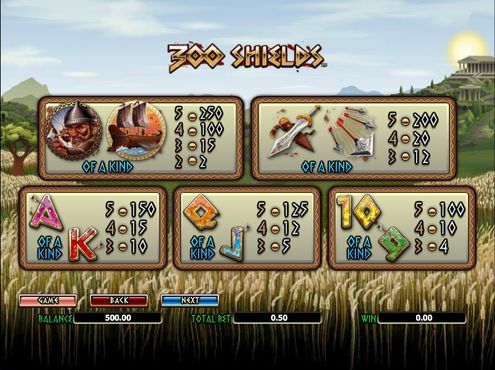 The 300 Shields slot has also a bonus feature, which comes in the shape of Free Spins and starts off with modest five free turns on the reels. However, these can be extended by landing additional scatter symbols, which have assumed the appearance of a shield. 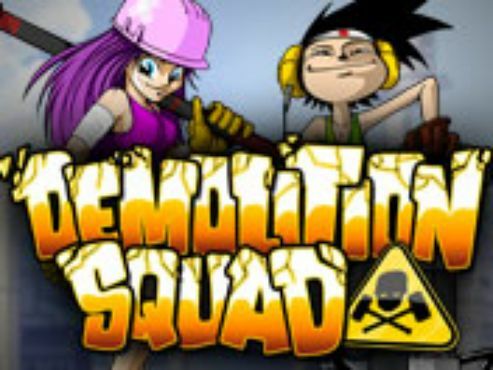 If we can candidly opine about the downsides to this game, then that would be the lack of in-game bonus features, which would have really spiced up the gameplay. 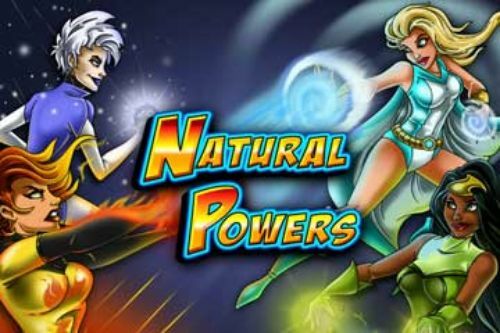 With not much going on the reels in that regard, there is the free spins feature that the players can eagerly anticipate, in addition to the 300x multiplier. Setting up for the gameplay requires figuring out the amount of the bet per spin that the player is ready to spend. In that regard, 300 Shields allows plenty of wiggle room, as the paylines are not static and can be selected by preference. Their total number is 25, which means, the players can opt to play on all or play on as few as one or few lines. As for the amount of the Bet, you can select to play a penny per line, or go with the highest amount in that setting of £0.50. Hence, the smallest bet per spin that could be wagered is just one penny, and that is on one payline, and the biggest wager amounts to £12.50, which comes about when you play all 25 paylines on a £0.50 bet size. Another gameplay note is, everything that you need to find out about the pays is located in the cog button, which yields to the paytable, where you will find info on the specific pay of each symbol. The design is in line with most history-themed slots and this one is not much different. 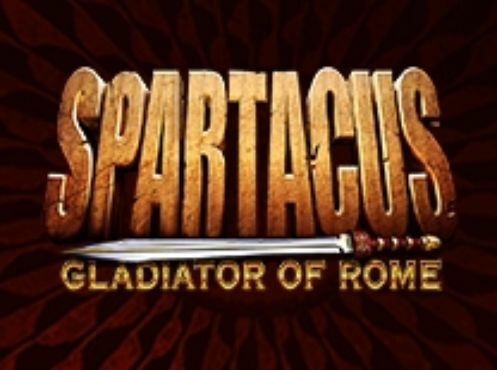 You will find plenty of weapons and men in military postures, which is the same gist as in Spartacus: Gladiator of Rome and the Centurion slot. The symbols on the reels are a barrage of arrows, a sword and its sheathe, a rowing ark, and an archer. These are the high-paying symbols, while the rest belong to the cards letters and numbers category, which starts with nine and ends with the ace. As for the specialty symbols, you are going to see plenty of the shield with the letter V, but upside down, and a warrior who is wearing a helmet. The fist is the scatter symbol and the latter is the Wild, which by the way, is the top paying of all symbols and fetches a prize of 1000 when it lands in five instances. Winning cash prizes comes as result of landing subsequent winnings that won't thin out your balance. The random number generator (RNG), however, can be responsible for triggering a potentially big win, and that would be completely a random occurrence. 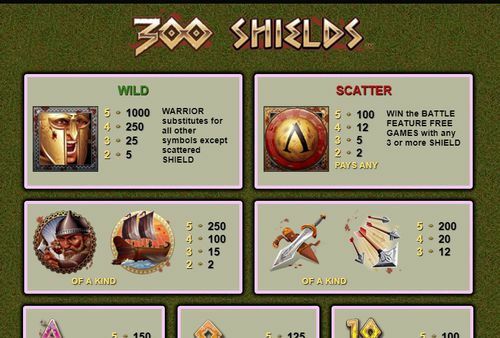 Then there is the 300 Shields slot free spins bonus features, which occurs thanks to the scatter symbol. This is where you can witness some magic on the reels, in terms of winning combinations, as long as you are lucky to have the free games extended by landing additional shield scatter symbols. The 300 Shields free spins start you off with five free spins when two or more scatters land on the reels. The multiplier here is 5x on all winnings. As you land additional shields you may get subsequent series of five shields. Collecting 12 shields, you get five more free spins, however, the multiplier is 300 on all of the aggregate winnings. 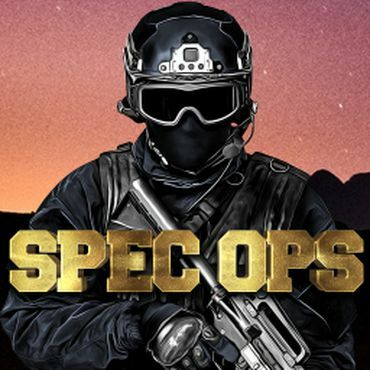 If you are eager to mingle with the warlike Spartans and aim for the pot of gold, check out the welcome bonuses that are available right from this page.